If you read my blog regularly, you’ll know I am a massive geek. When Menkind got in touch and offered me a Sega Mega Drive Classic to give away to one of my readers, I was very excited (and a little jealous)! The original Sega Mega Drive was released in 1989. I was 6 at the time, and remember watching the advert in awe! 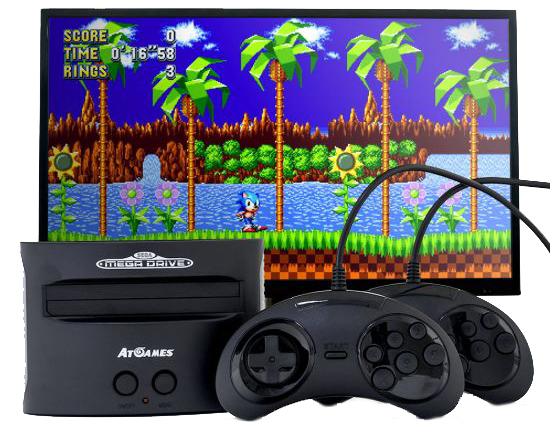 The Sega Mega Drive Classic is a rebooted, mini version of that epic console. 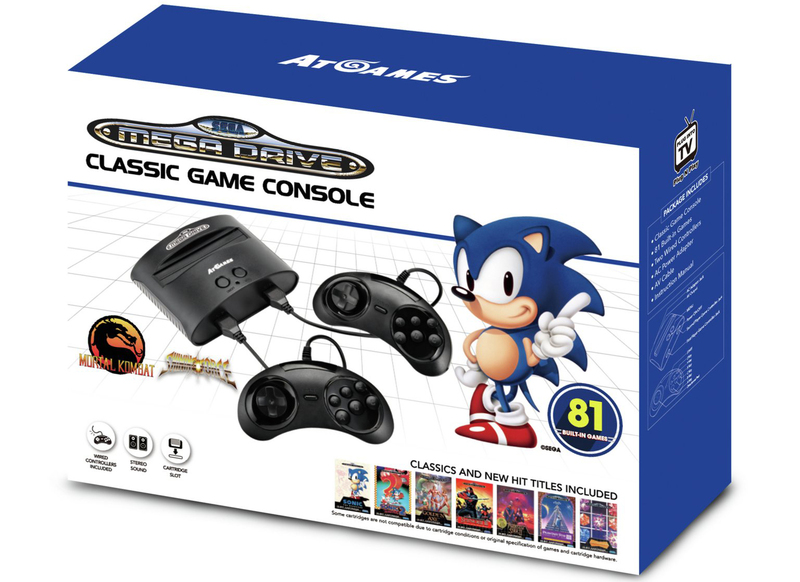 Firstly, there are 81 original 16 bit Sega Mega Drive games packed into the tiny classic console. Secondly, it has an RRP of £69.99. Thirdly, it comes with two wired controllers – no batteries required. Finally, the console connects to the TV via RCA connectors. (Remember the Red, White and Yellow cables from days of old)? Alternatively, you can purchase a SCART connection separately, but this device does not support HDMI connectivity. Unlike the Nintendo classic consoles, the Mega Drive Classic is compatible with original mega drive cartridges. HOW AMAZING IS THAT! Admittedly, I was team Nintendo, so I don’t have any old cartridges. However, if you’ve got a copy of Landstalker collecting dust in your attic, you NEED this console in your life! Which Sega Mega Drive Games are pre-installed? The Mega Drive Classic comes with 81 games installed. 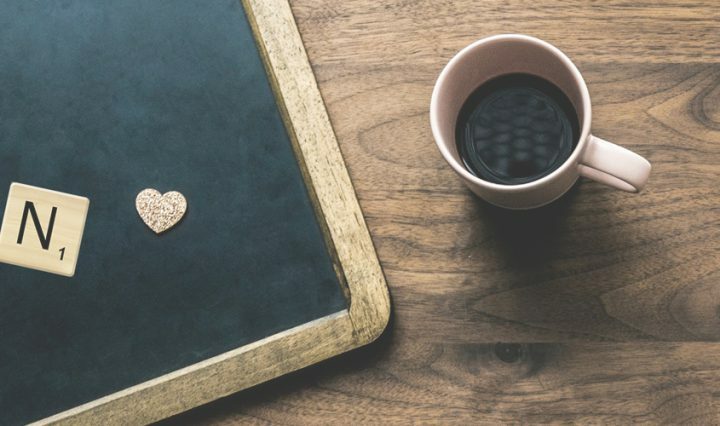 I’ll be here all day if I list them all, so instead I am listing my top picks. You can view the full list here (Under Technical Specifications). If you’d like to be in with a chance of winning this prize, all you need to do is fill in the form below. Don’t forget to comment, telling me your all time favourite computer game! (Mine is Super Mario Bros 3). Don’t forget, this giveaway is only open to UK residents aged 18 and over. Finally, why not check out my other Giveaways. Mine’s got to be anything Sonic; such a nostalgia trip! My favourite is the Resident Evil remastered for the Nintendo Gamecube . Tetris, addictive to play even by todays standards. It’s a tie between good old Tetris and Ratchet and Clank. Worms deserves an honourable mention too! Ooo and Rollcage, especially the ice level. If forced, I’d say Tetris was my absolute fave. Resident Evil is my favourite and i’m so glad that they just re-made Resident Evil 2 as it’s excellent. Streets of Rage on the megadrive! Tetris myself and my grandad were addicted! I love sonic, just love the noise of collecting all the rings! Super Mario World on the SNES. I still play it regularly on the Wii. Never gets old, such a good game. The Sims 4 has to be my all time favourite. This is going back a bit but it was the old tennis game that we had for a really old computer, I can’t remember what it was called. Definitely Sonic! it’s a true classic! Sonic – especially the ones with Tails in! He always messed it up for Sonic, but he was so cute! Oooh so many to choose from, Abe’s odessy, theme hospital, crash bandicoot, sonic and tails, halo, gta. Has to be call of duty for me, a game ive stuck by for years. I’m a sonic the hedgehog girl! Used to love Jet Set Willy on the Spectrum ZX many moons ago! I was obsessed with Sonic as a kid! Sonic the Hedgehog of course. That would be a little game known as Shenmue. Sonic the hedgehog is my all time favourite! Hours of Sonic and the impossibly hard Asterix game as a child. For the nostalgia it’s got to be Altered Beast for me. I loved “Streets of Rage” on my old sega mega drive. Alex the kid on sega mega drive, took me months to complete because there was no saving option back then. It has to be Final Fantasy 7, it was one of the first games I played and I have replayed it countless times since. It really is my favourite without a doubt. I love the legend of Zelda games, love a good adventure game. Sonic the Hedgehog games! I used to spend hours playing these when I was a child! Sonic…i adore the ring collecting sound! Pokemon Yellow on the Gameboy Colour. Still play it to this day, must have completed it millions of times! Donkey Kong. I can see a mother/son bonding time ahead. Super Mario Land is my all time favourite! I loved Pokémon Red for the gameboy colour, I still have mine! Mine is probably Final Fantasy VII as it was the first time that I realised that games could have a fascinating storyline as well as being fun. For pick up and go games I don’t think you can beat a mario game on any platform. I always loved James Pond: Robocod! Pacman – so addictive, just one more go! ToeJam & Earl. It’s so funky, but incredibly difficult! Alex kidd, sonic, paperboy. I loved them all! My little brother and I wasted much of our youth on The Sims. Tomb raider – the original on the PS1. First game i ever completed! sonic – the only game i ever remember actually completing! Space Invaders – old style on arcade machine! Two games stand out as my favourites, Star Wars (the arcade version) and the classic Tempest! Still gets the fingers twitching when I think of them! original Mario Bros on SNES! My favourite game of all time was ‘Wizball’. My partner had a Sega Mega Drive as a child, but sadly got lost through time. He’d absolutely love another. He’s a big gamer and loves his PC games and consoles! We had this console when my kids were young. Had so much fun and loved all the games. Would love to play again. Theme Hospital on my PlayStation (PS1) when I was a child! I’ve enjoyed lots of other games since, but nothing beats it, makes me feel so nostalgic! The Legend Of Zelda is my favourite game it evokes many happy memories for me and not many games do that. Great prize. Loved Tetris but Sonic the Hedgehog was my favourite. Admittedly Spyro has to be my all time favourite game, but as a child growing up I was team Sega and i LOVED Sonic! Mine’s got to be Sonic The Hedgehog 🙂 i also loved star wars return of the jedi i played it daily as a kid on a commodore 64!! FFX and Age of Empires. Sonic the Hedgehog is my all time favourite. Zelda – The Ocarina of Time. An absolute classic, not seen anything better since!! Love me some Golden Axe. I remember a PC game called Myst and its sequal Riven which were amazing at the time ! ToeJam and Earl – great fun. My favourites on the Sega were any sonic game I could get my hand on and Columns. I got excited when you mentioned Columns, nobody I talk to ever seems to have heard of it! I used to love the music on it too. I used to spend hours and hours playing a game called Dragon Crystal. I still play it on an emulator on my PC occasionally. I’ve been gaming for nearly 40 years so it’s really hard to pick just one. My recent favourite is Witcher 3. I spent my childhood playing crash bandicoot. Theme Hospital was my all time favourite. On Sega Megadrive though it has to be Toejam & Earl Panic on Funk-o-tron. I got a mega drive in 1992 and I LOVED it, there was only one sonic game then, and I LOVED IT. Impossible Mission on Commodore 64, I absolutely loved that game! Zelda has always been my favourite. I’ve passed the Zelda bug onto my daughter as well now! It has to be the Sims. Just a great game. GTA Vice City – A real titan of a game when it came out. I bought one of these for my brother for Christmas. I would loved to have kept it for myself! I used to love playing Sonic, Bubble Bobble, and I’m so glad Toejam and Earl is coming back! Out of newer games, I love the Borderland games. I loved ToeJam and Earl. I’m a big fan of PacMan because I never get bored of it and it reminds me of being a child. The first Sonic game has to be my favourite. On the Sega it was Echo the Dolphin but my fave game of all time has got to be the Sims and the Final Fantasy Series I’ve been playing both loyally since childhood! Me and hubby are both big gamers! I always loved a game called nifty lifty that we had my our old amstrad! Where in the world is Wally? The Sims 2 for me, but I used to love Paperboy! Sonic is by far the best! Chucky Egg was probably the game we spent more time playing than any other. Anything super Mario. Love him and his crew. Dark Souls. I’ve spent many hundreds of hours playing that franchise. I regret nothing. My favourite game of all time would have to be Pac Man 🙂 Thanks for running this comp. It has to be Sonic! It has to be Sonic the Hedgehog. What a fabulous prize! Call of Duty Modern Warfare 2. THE BEST Xbox 360 game that ever existed. I think my favourite ever is probably Monkey Island. I’ve got a lot of happy memories of playing it with my hubby years ago and now we’ve just introduced our 5 year old son to it and play it as a family. It’s so funny! Frogger is the first game I remember playing for hours on our Activision. What a revelation that was!! Tetris – an oldie but a goody, very addictive though! It’s gotta be Super mario, their games are always the easiest to play and the most fun too. crash bandicoot, spyro the dragon and Ade oddessy. Brings back memories. I absolutely love Spyro and used to play it all the time as a kid and teenager! Abes odessey was fab when I was a kid! Loved it!! Or paperboy!!! has to be mario for me! any! Sonic the Hedgehog! I used to love playing it when I was a kid! I always loved the Zelda games, love adventure games. *sings* SEGA! I love Alex the kid and Sonic! brings back great memory’s! Sonic the hedgehog is one I used to play all the time. GoldenEye! I’m scared to work out how much of my life was spent playing that…. Crash bandicoot was my all time fave! I got the new one a few weeks ago and it’s a lot harder than I remembered! Uncharted has to be my favourite recent one but I love the old classics, used to play them at my Nans on a Sunday. You had me at Golden Axe! Super Mario World (also known as super Mario Bros 4) on the SNES. So many new tricks and secrets and Nintendo bundled it with the console on launch! Fantastic. Sensible World of Soccer was the best game back in the day!!! Favorite game of all time is Command and Conquer, but on the Mega Drive, probably The Chaos Engine, Robocop Vs. Terminator or Dune 2 – naturally anything SEGA released inhouse was amazing too! We love Mario the best! But the all time fave has to be Final Fantasy VII. Still emotional! Mine is the Lion King on the sega mega drive. It is also my most frustrating game as well as my favourite. I have never completed it. It alludes me….I would love to have another chance. Alex kidd, spent many hours on that. It’s gotta be Toe Jam & Earl! Super Mario Kart – thank you. Has to be the original Sims! The Dizzy games from the 80s! Magic Island Dizzy was my fave! Sonic was my first proper game. I used to love playing columns and got a little bit addicted! Has to be sonic. Even my 5 & 8 year old like playing sonic. Tetris – always so difficult to tear myself away once started. I always loved the Sonic games, but I think my all-time favourite has to be Tomb Raider. Loved my Sega mega drive when I was young! Toe jam and earl and sonic were the best. Mario Kart on the Nintendo 64! It has to be Super Mario! Will always love them! Crash Badicoot is my all time fav! super mario world ! I love that game! Mine has to be super Mario brothers 1, 2 and 3, just reminds me of growing up. I’ve been gaming for 40 years, so it’s hard to pick just one. A recent favourite is Witcher 3, I became so absorbed in that world! Crash Bandicoot is my alltime favourite. Tetris was my fix when I had one. Donkey Kong was my favourite! I used to love Sonic as a kid! Now I love the Dragon Age series. And Tetris too. Theme Hospital – probably why I ended up working in the NHS! Fifa or if we are going way back then Paperboy! I loved Crash Bandicoot and Sonic! Toejam & Earl in Panic on Funkatron, Road Rash 2, Cool Spot, & Micro Machines Turbo Tournament 96 & 2. Sonic the Hedgehog, used to love it! Gosh there were so many great games I loved to play Manic Miner, Bobble Bubble & I used to love an oldie called Boulderdash I think that was my all time fav.Games have come a long way since then. The Sims is my absolute fave! I loved the Monkey Island games! Has to be Sonic the Hedgehog!!! OMG those were the days. Sonic and Alex the kid were awesome. I loved Taz and James Pond the best though There was also a mega Tetris competition in our house, my Mom was so hooked on it. I’d love to win this to show my kids what its all about. I might actually beat them at something, I cant get to grips with the brilliant graphics and fancy controllers they have these days. My sister and I spent hours in my bedroom playing sonic! Alex Kidd – my first ever computer game! I think I’ve spent the most time playing The Sims. But I used to love Hercules and Tony Hawks too. We love Super Mario in our house, we love a competitive game of Mario Kart. I grew up with Mario on the Gameboy and Super Nintendo so he’s my all time favourite. Can’t beat the old games. My husband would love this! and Down’ when I was little. It’s a forgotten classic that I’d love to be able to play again! I’m going to go with the all time classic: Outrun. It was, and still is, the defining racing game! Tetris, I can still hear that music in my head! Sonic the Hedgehog is my favourite. Pac Man is probably the game that I’ve spent the most hours playing! I loved Fingers Malone for my Commodore 64 back in the day. My husband has one of these, they are brilliant!! It’s so good to reminisce and play the games from when we were young. Great games. I can’t find my comment! I forgot to say my favourite game!!! Sonic the Hedgehog, the first one on megadrive. I skipped the nes and the master system, going from the likes of the commodore 64 to the megadrive. When i first saw it i couldn’t believe my eyes, SO fast, SO many colours, hooked for life. Tekken. 🙂 It’s the first game I ever played on the Playstation. My favourite has to be Duke Nukem on the pc. It has to be sonic. I still remember my all day sonic sessions on the sega in the 90’s. I want to recreate those times! Hard to say, on this platform Sonic but on anything else World of Warcraft as an all time fav. Mario kart is still a firm favourite in our house. Sonic reminds me of the arguments my kids had over this game. My favourite is Sims, I love it when new ones come out and see how much they’ve changed! Sonic the Hedgehog! Me and my friend would spend hours on the Sega Megadrive until it broke! all time favourite game has to be Mario Kart! Has to be Mario! l remember playing when l was about 10 it was so different then! Sonic by a long way has always been my favourite. Across all the platforms I would say Skyrim at the moment on xbox is my favourite, Crash Bandecoot on Playstation and Sonic was always my favourite on any other platform I could get from Sega to my iPhone. My fav game would be Halo 3 it a classic. My all time favourite has got to be Spyro. I’m so glad it was remastered so I could get my son into it too! We also love games we can play together like overcooked and Pokemon. Abe’s odessey and looney tunes time busters. I loved Zelda: Ocarina of Time! I absolutely loved Sonic the Hedgehog as a child! Brilliant game. How do I choose one game? I loved Sonic, so did my daughter, it was her Master System. And what about Kurushi for the PS1. Sonic was my favourite for ages, it was my daughter’s Master System II, so I tried not to hog it. Then maybe Kurushi for PS1. Street Fighter for Nintendo 64, Spyro for PS1 or The Sims PC – I can’t choose just one! The Michael Jackson Moonwalker game on the Seag Megadrive!